Optimized for maximum power from 7,000 to 10,000 RPM, the Victor X intake manifold is designed for turbo and all-motor applications. 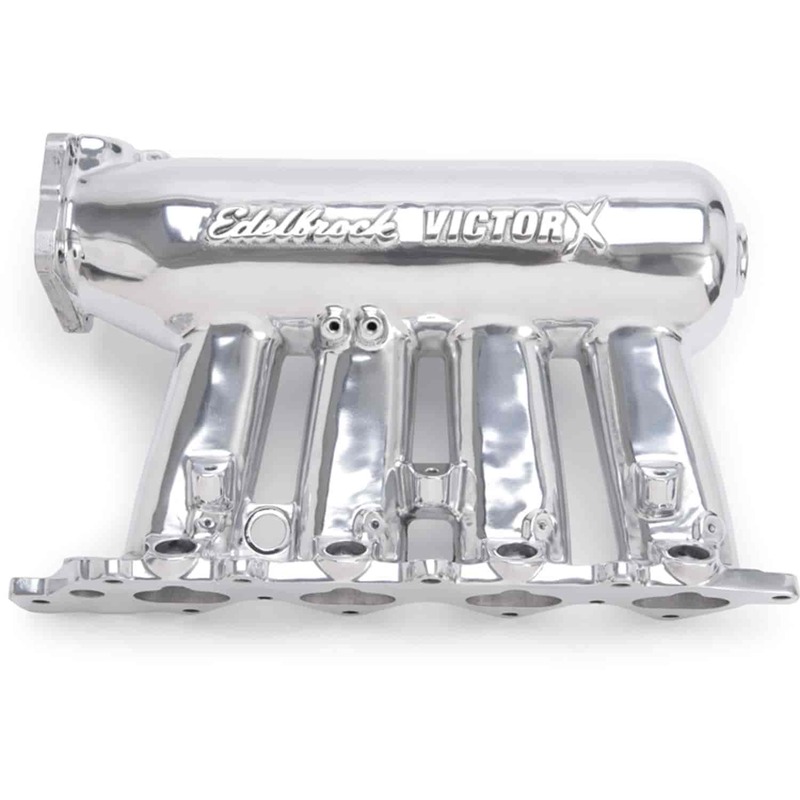 Engineered for high performance, this manifold has four additional bosses for nitrous or added fuel injectors. Match with the Edelbrock 65mm throttle body for maximum power. Also available with four extra machined injector bosses and aluminum fuel rail. Injectors sold separately.